Having left the sketches fairly open in the past, we’re going to try doubling down on some tight specifications to see what you can come up with! Sometimes when given the tightest constraints, we find the most amazing methods of achieving something incredible! Let’s get to it! 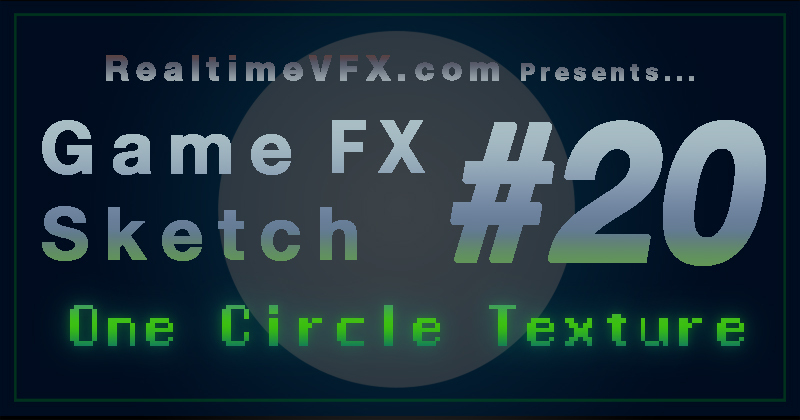 Submitting: Create a new topic in the “Events > 20 - One Circle Texture” category with your name in the title and the sketch number (e.g. : “Susie Stevens: Sketch #20 WIP”, and post your work! This includes any work in progress you may want to show as well as your final result. Final entries should be posted through either Vimeo, Youtube, or as a high quality GIF. Be sure to cite your sources if you are using other artists work as a base, or even taking inspiration! Remember, this is a learning platform, and is meant to be used as personal work that pushes you technically and/or artistically! 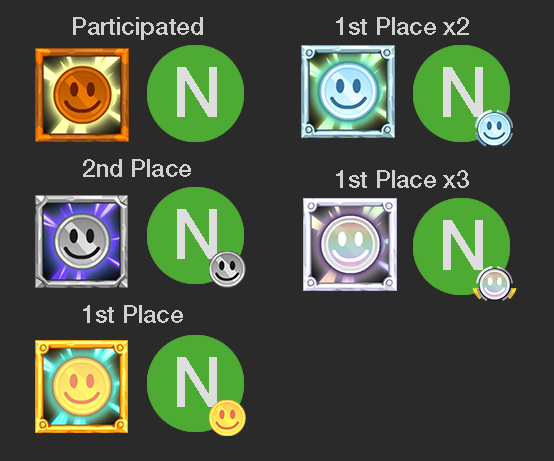 All entries must be made during the current month. Assets must be newly made. Any tools/systems/workflows that pre-existed can be used. Voting: To vote for your favorite entries, all you have to do is drop some love by clicking the like button on any of the owner’s posts within their topic during the course of the month. This is not the only factor in determining the winners but it is heavily influential in the final results. Winners will be selected by the 3rd of the following month. As always, if you have any question feel free to ask below! Question, can we draw whatever in the circle texture? 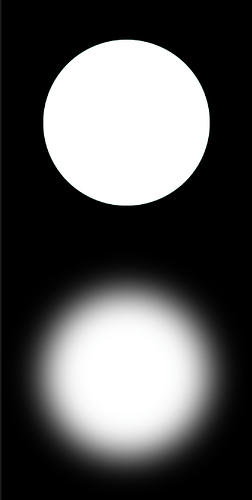 And, one texture could be RGBA… so… are there any limitations on differences in those channels? If you were to use a soft circle like above, that is the only texture you get. If you chose to do a hard circle, that is the only texture you can use. The falloff of the softness is up to you if you choose a soft circle, but it needs to be uniform. One last question, what are we allowed to do inside a material/shader editor for the chosen engine? This sounds like it’ll be a fun challenge, can’t wait to see what people come up with! Feel free to use any combo of math in a shader to manipulate the single texture! Just no manipulation with other textures. What about node noises and SphereMask? Guess it’s a no go? If it’s not based on a texture, feel free to use it! So sphere mask/noises that are math based are ok to use! The noise node has a texture sample mode (for optimisation) so that one is out. The procedural ones are fine. So, it has to be a texture? I can’t do this right? I’ll be keeping a close eye on this one! Sounds like a really cool challenge! Unfortunately I don’t have time to be in it myself. Dang, my first thought was to try to encode a bunch of information in the color channels, but y’all thought of that already Still, sounds like a fun challenge! I’ll see what I can come up with. Can we use particle systems or should the entire effect be made within one shader? Yup, everything is good to use, as a normal game effect would be made, only constraint is that you can only input your one circular texture for your complete effect. Hey Nate, can we have two version of the identical texture using different tiling settings? Like one clamped on X and Y, and the exact same texture with a wrapped version? Yup! Offsetting in a shader, reapplying on itself, and any other shader math is good to use! As long as another texture isn’t involved! Ok cool. I wasn’t sure if it would count as a second texture if it had different texture settings. FREEKN’ YES! Tis’ bout time! Aw man… I gotta do this now. Can’t say I’ll put as much time as I would prefer, but I got to give this “VFX Puzzle” a shot. SO! Just to make sure I understand this 'er challenge: The only -one- texture allowed. That -one- texture must be a uniform circle of either soft or hard edge. With this limitation (which essentially is a restriction of sorts on UV trickery), make a magical fire effect. Question: Since a texture is not provided, when we collectively create our one texture I expect to see a subtle size diffrence. This is ok? We can make the Circle as big or small as we would like on the one texture? Very interesting challenge! I’m going to follow very closely what people come up with.